Is it the anticipation? Is it simply the fantasy? 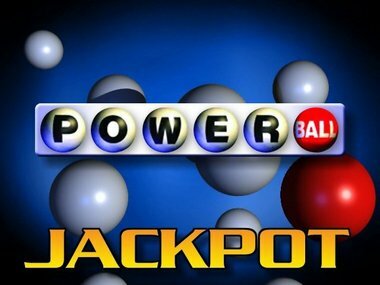 Tonight the Powerball drawing will award some lucky guy $400,000,000. I hope it’s me. Also tonight, the new season of Survivor starts on CBS, and after all these years and all these seasons, I still watch it religiously. But I’ve gotten to the point, I watch it almost as a college class or instructional video, because I’m still convinced (as is my wife) that someday we’re going on this show and we know exactly what it’ll take to win. The good news is, my Survivor dream is still intact. The bad news is, I don’t think I can win the lottery. It’s because of my “electricity theory.” My wife was recently talking to a friend of ours and it turns out he knows somebody who won a rather large lottery jackpot. So, with my “electricity theory”, I can never win the lottery. Why? Well, simple. It’s one thing for a person to know another person who won the lottery. But what are the odds any single, random person would know TWO people who win the lottery? It can’t happen. It never happens. Twin brothers don’t win the lottery three years apart. A son and his mother don’t win the lottery at different times in different states. It doesn’t happen. It’s awful when it comes to the lottery, that you can write it off as something that “will never happen to you”, but it’s good when it comes to plane crashes. If you know somebody who knows somebody who was in a plane crash, you’re pretty safe. The theory being, your friend isn’t likely to know two people involved in plane crashes on two separate occasions. Which brings me to Survivor. I know two people who’ve been on The Amazing Race (my other favorite show). But so far, I don’t know anyone who’s been on Survivor. And I don’t know anyone who knows anyone who’s been on Survivor. Oh, and speaking of #Survivor …if you like recaps of shows you’ve watched with your own eyes, I do that sorta thing. I’ll be recapping #Survivor over at spunkybean.com all season. At least that’s my plan. And I’ll Tweet about @Survivor_Tweet using my @spunkybean or @donkowalewski Twitter handles. Heck, I might even use both. Check me out. I’m all about social media.